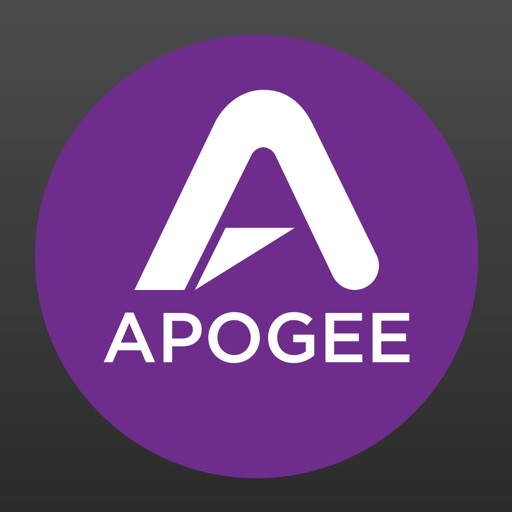 For more detailed information, consult the complete User Guide included with the app (Settings > Help) or see our website at the address below. 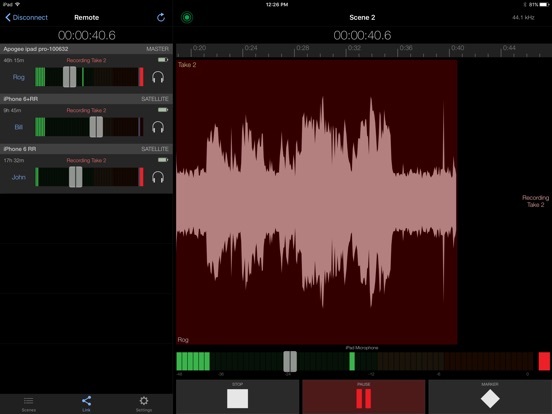 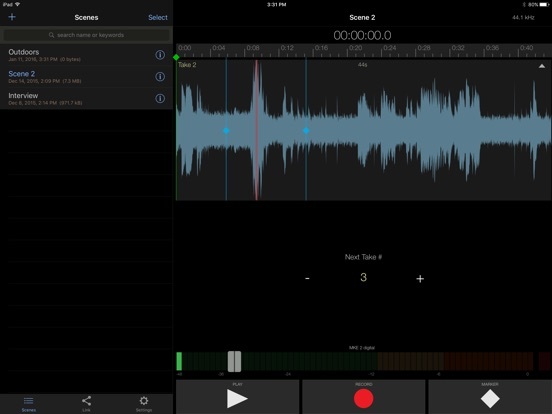 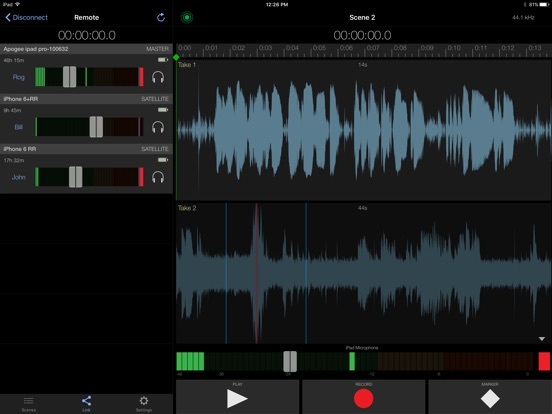 Apogee’s MetaRecorder is the first two-channel audio recording app for iPhone, iPad and iPod touch to offer intuitive multi-take recording, tagging and file organization for any field recording scenario. 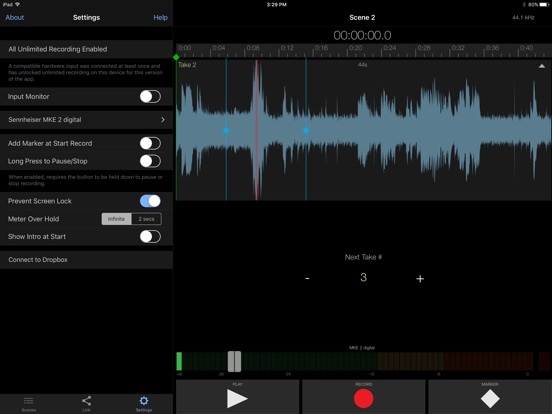 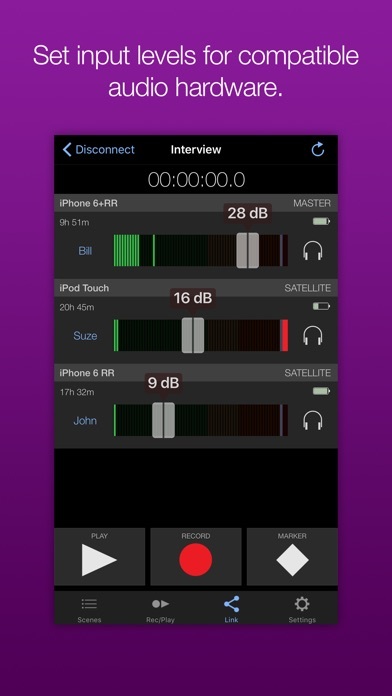 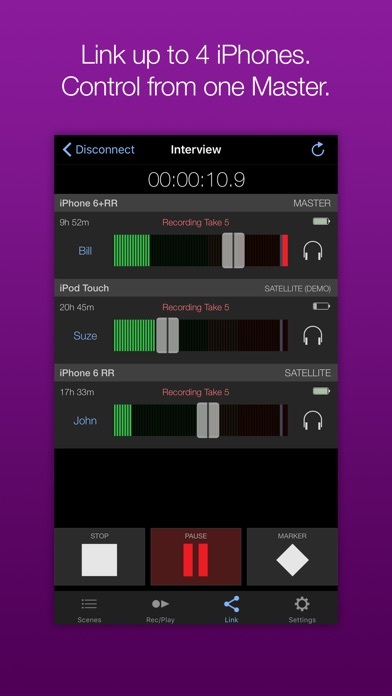 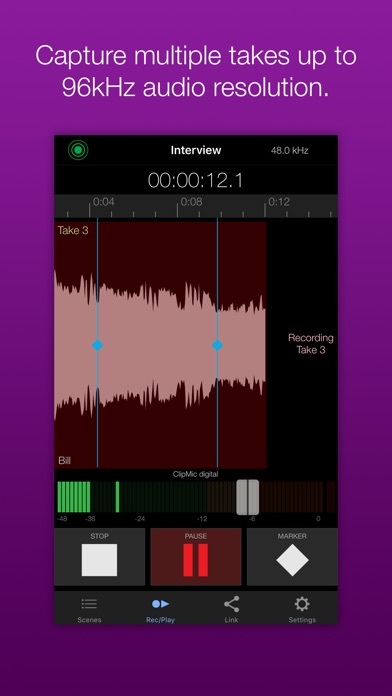 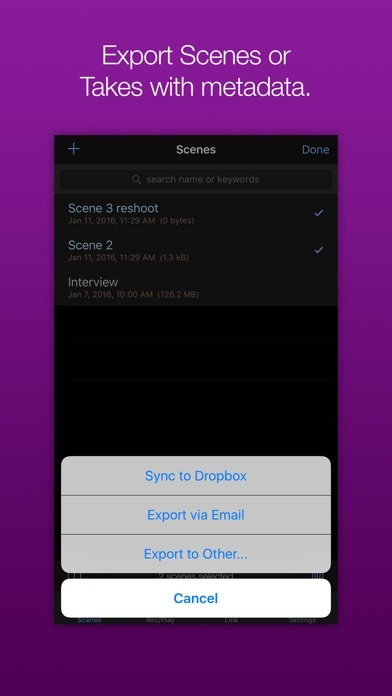 Essential features of MetaRecorder can be controlled from Apple Watch – start and stop recording, add a take to Favorites, add Markers or set your microphone input level.